Embark on a fairytale journey in this cool new game called Your Fairytale Adventure! 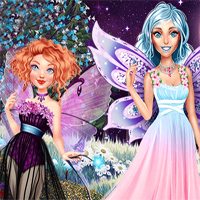 Good Fairies and Evil ones await you in this awesome new game! Help each realm and defeat the Evil Fairy for everything to go back to normal, only you can help them! Have a wonderful time experiencing this new game!